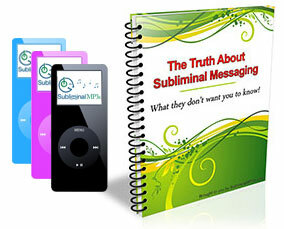 Use our subliminal messages to train your mind and develop to your ultimate potential intellectually - perhaps even develop your genius potential and expand your mind way beyond its current limits. First of all make you believe in yourself - that you are capable of doing anything and have the potential to expand your mind and tap into deeper talents and levels of intelligence. Make you strive to live-up to your ultimate intellectual potential and achieve the absolute maximum you are capable of. Re-program your mind to think with clarity and complete focus. It make sure you are always "switched on" and that your mind improves it' capacity to process information efficiently, accurately and fast. It will also boost your motivation and your desire to learn, so if you currently struggle to study, or easily get bored this album could be just what you need. It will give you a burning desire to better yourself, to learn new things, increase your intelligence and develop to the best you possibly can. Lastly it will rewire your mind to help you process information quickly and efficiently and make sure your mind is working to it's full potential all of the time. If you are highly ambitious, driven, and want to get the most from yourself and out of life generally then this is the album for you. Download this album today to awaken your genius potential and take yourself to the limits of your possible intelligence.